The three linked novellas that comprise Fulbright-winner Josh Weil’s debut bring us into America’s remote and often unforgiving backcountry, and delicately open up the private worlds of three very different men as they confront love, loss, and their own personal demons. Set in the hardscrabble hill country between West Virginia and Virginia, The New Valley is populated by characters striving to forge new lives in the absence of those they have loved. Told in three varied and distinct voices – from a soft-spoken middle-aged landscaper and beef farmer struggling to hold himself together after his dad’s suicide; to a health-obsessed single father desperate to control his reckless, overweight daughter; to a mildly retarded man who falls in love with a married woman intent on using him in a scheme that will wound them both – each novella is a vivid, stand-alone examination of uniquely romantic relationships. As the men struggle against grief, solitude, and obsession, their desperation slowly leads them all to commit acts that will bring both ruin and salvation. 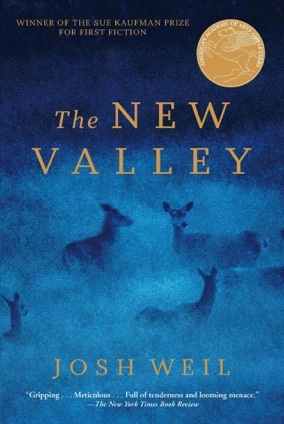 Written with a deeply American tone and in empathetic, meticulously crafted prose, The New Valley is a tender exploration of resilience, isolation, and the deep, consuming ache for human connection. "Josh Weil’s debut book The New Valley has a sense of the notable on every page. This is the very rare but clear case of the sky being the limit for a young author."